You are here: Home / Breathe / Herbology: Which Online Herbal School is Right For YOU? 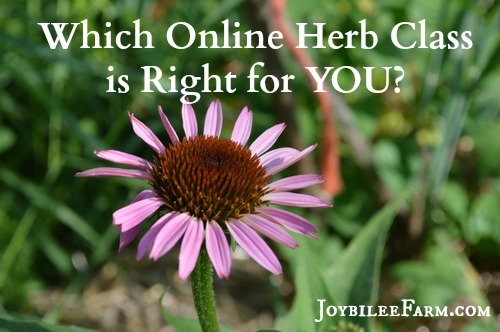 Herbology: Which Online Herbal School is Right For YOU? Get to the root of herbology? Herbology is the study of herbs. While it can be rewarding to make our own tinctures, herbal teas, and healing balms from the herbs in our garden, that’s just the start. Herbology digs deeper. When we make medicine or supplements from the herbs in our gardens, or even dried herbs we find at the healthfood store, or online at Mountain Rose Herbs, we follow a recipe. Maybe we found the recipe on a blog, in a book, or even from our own mom or neighbor. We know this recipe is good for a certain ailment. So we make it every summer, in quantities large enough to meet this need we have, for a year. We limit the medicine to the ailment that we know it works for. St. John’s Wort for “Seasonal Depression.” White Willow bark for headache or arthritis. And we limit the solution to our problem to that specific herb that we know works for it. And we stop there. Because that’s all we know. Say, we have a family member with a urinary tract infection (UTI). Well we know that if we give them cranberry juice it will fix it. So we load up on Ocean Spray™ at the grocery store. Or maybe we understand that the juice needs to be organic, and so we go to the health food store and find that product with an organic label. That’s what we know. So that’s what we do. We miss that there are other ways to help, ways that will work with the cranberry juice. Even ways that make cranberry juice more effective. We don’t use the helper herbs – the synergist herbs – because we didn’t know about them. This is how we’ve always done it. It’s what we know. Blogs aren’t the best place to learn about herbs. Don’t get me wrong. 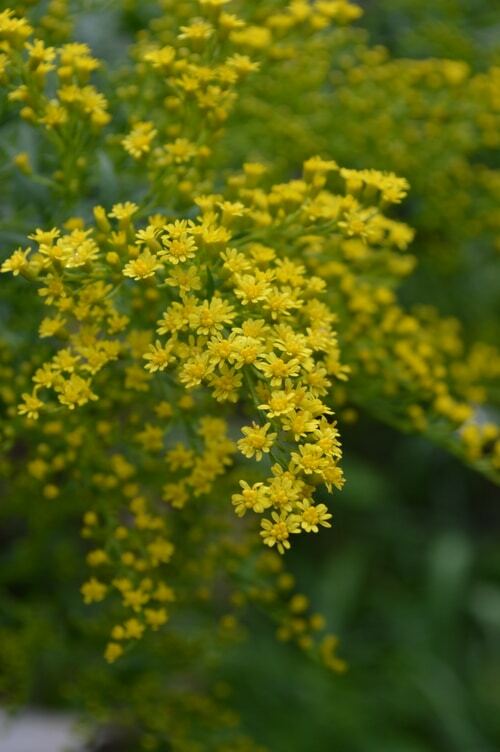 I love reading herbal recipes on blogs. But there’s only so much you can say in 800 to 2,000 words. And even if you read 2,500 words – on a blog you don’t actually read them. You skim them. You try to sift the good bits and spit out the rest. Because you’re busy. I get that. So when you’re reading a blog post or even a book about herbs, you are skimming looking for the hook to help you connect what you need to know, with what you already know. You’re ready to move on, to grab the herbs and pour the vodka and get that tincture made quickly. Because you’ve got other things to do. We’re all so busy. Do you treat herbs like drugs? So we miss it. We lose the connection. Herbs become just like pharmaceuticals. Have a headache; take a tincture or a tea. 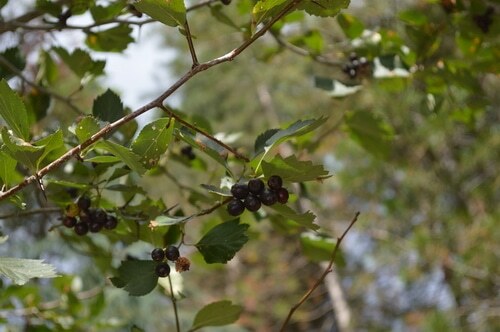 Or look for the herbal equivalent of the OTC drug – willow bark, meadow sweet, aspen, or birch. It either works or it doesn’t. Just like aspirin™. But herbs are different. They aren’t for treating symptoms. They work on another level. They are tonic. They nourish us. They balance us. When we treat them like drugs instead of letting them give us their gifts, we lose. Herbology helps us connect with the depth of herbal knowledge, so that we stop mining herbs, and instead start relating to herbs. Through studying herbs, we make herbs our friends. We get to know them. We touch them, taste them, smell them. We begin to understand ancient wisdom passed to us through our family history or through other cultures, which once knew these plants and had a relationship with them. We listen to our own cultural past and learn about these plants. We synthesize what we hear from the past and from tradition with what we learn through our senses. And the relationship grows. The friendship grows. We heal on a deeper level. Herbology is also about sharing what we learn in this relationship with plants, with others. We introduce our friends, these herbal helpers, to our friends. And the circle of healing grows. The knowledge passes from this generation to the next as I make a tea for menstrual cramps for my daughter. The herbal lore passes from my herb garden to your herb garden, as we share plant divisions or cuttings. When I talk of ancient wisdom you might get your back up. You may think I’m talking about a religion and that soon I’ll introduce you to shamanism, sweat lodges, Swedish saunas, or other “unnatural therapies” steeped in paganism. No that’s not where I’m going with this. What we learn from other herbal traditions must past through the lens of who we are at our core. It must be weighed against our core values. That’s why there are many herbal schools of thought. One cannot teach separated from one’s beliefs. 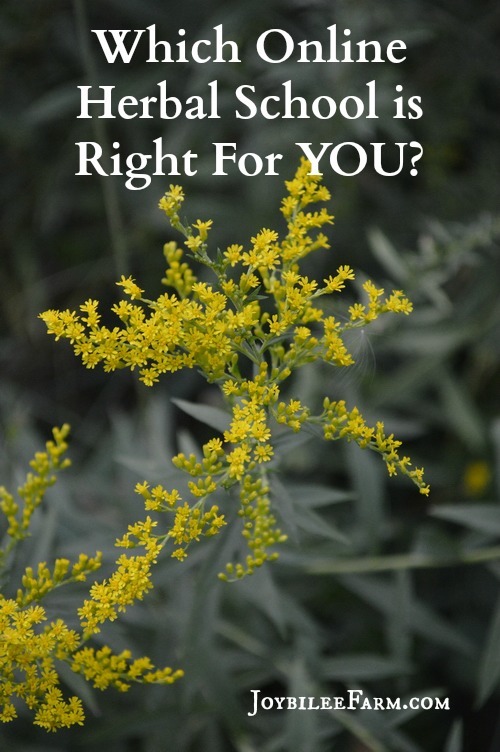 I’ve had upfront and personal experience with three online Herbalist Schools. 2 of them have a brick and mortar campus and their online classes are an outreach into a larger community. One is exclusively online. None of them offer a professional certificate in herbalism. I had wonderful experiences in two of these classes. The third class was frustrating to me, but I asked my friend Angi, to give you her perspective as well. Angi found the course the best fit for her learning style. Do you learn best through watching, hearing, or doing? I’m not sure where this idea originated but I remember sitting in a homeschool workshop in the ‘90s listening to someone speak about Visual, Auditory, and Kinesthetic learners. The light bulb went on for me, when I grasped this construct. This was pivotal to my understanding the best way to teach my children at home. I had one visual learner, two kinesthetic learners, and I was an auditory learner. Although most people aren’t pure visual or pure kinesthetic in their learning style, we usually have one that is dominant. In a situation where you just can’t seem to master a subject, the problem might not be you. It might be that the way a subject is being taught, that doesn’t suit your learning style. So as you approach each online learning situation, understanding your personal learning style will help a lot. All online schools will claim to teach in a way that suits “all learning styles”. They believe this to be true, not because they’ve had students with all learning styles go through their programs and help them tweak them so that they are universally a good fit. No. They suggest that the courses are suited to all learning styles because it suits their own learning style – whether that is auditory, visual, or kinesthetic. Then they add in video, or paper or a hands-on project to compensate. For a program to truly suit all learning styles, every auditory message would also appear in pictures or colourful video, and have a written transcript for visual learners. Every lesson would have a hands-on component for the kinesthetic learners. Video lessons would also appear as downloadable audio files for the auditory learners. Only one of the schools that I examined came close to offering a program that would be suitable for people in all three learning modes. All education comes with a worldview. Even strictly ‘secular’ education is taught with a religious worldview – secular humanism or atheism. There is no way to avoid religious instruction with education. The worldview of the teacher will come across either overtly or subliminally. When one studies herbs, the lessons come with cultural, traditional, and spiritual roots. A lot of herbalism as it is taught today has pagan underpinnings. The instructors may encourage the practice of yoga, meditation, Tai Chi, or talk about alchemy and kitchen witching. Or the instructor may think they are without religious influence, coming from an evidence-based perspective or even talk of teaching from a Christian perspective. Understanding where the teachers are coming from can help you decide if the class is for you. Don’t be fooled. A belief that peer-reviewed science trumps other kinds of knowledge is a religious perspective. Will you be able to sift through a worldview contrary to your own, in order to gain the gems from the class? Or will a conflicting worldview leave you frustrated and unhappy with the class? This is something to decide. Want to cut to the chase and check out the 3 schools on your own? I have personal experience with all three schools of herbal medicine. I’ve asked my friend Angi to give her perspective on the Vintage Remedies’ Family Herbalist Course, as well. Hopefully, this review, of sorts, will give you enough information that you will be able to make a comfortable decision about where to invest your time and money as you pursue your own herbal studies. Do you know anything about Hearts of Herbs school? I am thinking about it for Aromatherapy Certification. Did anyone get back to you on this? I was looking at this one too. I was afraid it was a scam for some reason.. This school is really wonderful. Great instructor, honest, and works hard to be helpful. 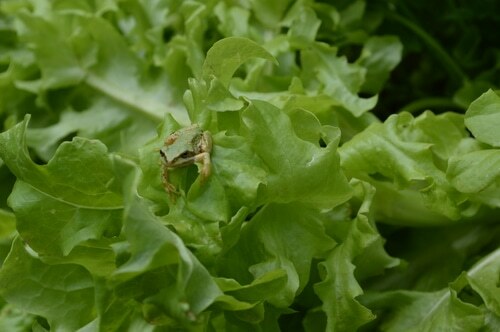 Hi – I am particularly interested in a deep dive into the botany aspect of herbs. What they all are, how to grow them, what they are used for. Specifically I want knowledge as a grower. Any suggestions for me? Do you have any knowledge of or perspective on the Christian Natural Health Network (www.cnhnetwork.com) herbalist certification program? No I don’t have any experience with them, Mary. They do say on the site that you “have to be certified” and this isn’t true. They’ve made up this “Certified Christian Herbalist”. There is no one who can legally certify an herbalist in North America, so I would be wary of that claim. Chinese Medicine Doctors are of course, certified as “doctors” (at least in BC), but in the case of “herbalists” there is no recognized certification. Also this site says that their “certification” is only to the intermediate level, so you’d still need to do a clinical herbalist course and mentorship before you could become a professional member of any of the recognized herbal guilds. I think chris does a fantastic job synthesizing why all 3 courses are great…it just depends on where your interest lies, learning style and of course what you hope to do with the education you receive. This is one of those scenarios where there is no right anew so stop looking for a binary yes, no. This is a great herbology school. Check it out guys. So which school did you head up liking the most? Morgan, each of the schools has pros and cons. I think we can spend a lot of time trying to decide between schools but the best course of action is to take a beginner course and see if you like the way the course is taught. If not, take the next level with another school and try that one out. Each school has it’s own personality and it’s own emphasis. I did mention in my post the things that I didn’t like about each of the schools. You may find those talking points helpful. I really love the last paragraph. Especially, “Don’t be fooled. A belief that peer-reviewed science trumps other kinds of knowledge is a religious perspective.” That is so well-said and exactly what I’ve thought before, too. Thank you for this! Howdy… I am interested and looking forward to reading your reviews… I just finshed my Advanced Botanical Medicine (master herbalist) course from Vintage Remedies and truly enjoyed it… so much so that I am hoping to go on further with the Franklin Wellness Institute for a certification. I greatly appreciated evidence based understanding… because there is a lot of unfounded tradition that has been shown to be erroneous. But just as important are the tradions handed down that have and are legit. 🙂 -blessings! I love evidence based herbology, too. All the courses I’ve taken include research for the efficacy of herbal remedies. Some use that as a selling feature though, and some just assume you know. But then my experience is limited to just three schools. I understand that there are many other schools that get into what I call, “heeby-geeby”. I haven’t got any experience with that. FYI, I love your email addy. I’m looking forward to who will soon come through the “eastern gate” that faces the Mount of Olives. Agree, Addy. I have my degree in Biomedical Engineering, and while I’d like to learn more about alternative medicine, justification of non-scientific based medicine turns me off (especially mom’s like Doterra). I am interested to see a comparison of different schools though. Have you had any success finding a comparison of schools? I am looking for a similar list also. Not sure why no one has done the comparison yet… maybe the world is too small and everyone knows one another and so doesn’t want to give criticism or extra praise? I’m interested in some of the courses as well, and it’s seems a shame that I might have to spend hundreds, if not thousands of dollars, to just have to figure all of it out on my own. I’m so so SO eager for a perspective!!! I agree with you Julie. I have opted for purchasing textbooks on my own and doing self study. Had a hard time looking for lesson plans. Figured I’d have to make them too. I’m in for the long term, figured all I have is time.